There are so many great shops on the Mountain, ranging from cellars to deli produce, sweet shops, smellies and home-wares. If you are a keen Antiques Roadshow viewer then you will also enjoy pottering around the various Antique shops. They range from fun bric-a-brac to genuine antiques. With so many great shops you’ll want to explore and find your own favourites, here are just a few of ours. Divine Gift is a new sacred healing space in Olinda. 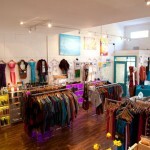 A beautiful, vibrant, energising, fun & colourful environment where you will find only truly authentic products that are: CERTIFIED ORGANIC, NATURAL, ECO/SUSTAINABLE, CREATIVE, SPIRITUAL & TRULY INSPIRING at very low prices.The question “How can we help change the world?” has been thought of when selecting products. We only support businesses that are making positive changes in our world. Our service is delivered with Love & Kindness in honor of making your experience at Divine Gift joyous, relaxing and memorable. Experience Reiki/Crystal/Sound healing therapy and guidance sessions with Marty Jelinic that will leave you feeling uplifted and positive. Our products include crystals & stunning crystal jewellery. A large range of Aussie & USA certified organic beauty, skin care and cleaning products. Fashion for men, women, children & baby, Mentez organic t shirts, bamboo underwear and socks, bamboo towels. Tibetan and Dalai Lama products, singing bowls & cymbals. Queen B 100% Aussie beeswax candles, crystal candle wear, lanterns. Organic Himalayan Salts for cooking, bathing and detox. Natural incense, books, cd’s, guidance cards, gift cards, and much more. New products coming in every week. ‘hobnob’ caters for the lady searching for something with a point of difference, to make her feel extremely special. Our clothing, shoes, jewellery, handbags and accessories create collections that customers are both excited and mesmerised by. Unique Australian design and Australian made also feature. Walking amongst the objects shelved and arranged in Mangana feels like a journey through the old-world. Sourced from India, France, The Americas, and other remote pockets, each piece has been carefully selected for its beauty, charm and timelessness. The range features scientific and maritime instruments, leadlight lamps, sheepskin footwear, Pre-Raphaelite prints, high-quality furniture reproductions, jewellery, and other quality-crafted objects—an exclusive collection that has evolved over Mangana’s thirty-year heritage. It’s a wonderful place to bring international visitors, to discover useful objects you never knew existed, to speak to our knowledgeable staff, and to discover a fascinating object to add style and interest to your home. 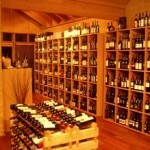 With a reputation for being one of Melbourne’s finest wine retailers, Olinda Cellars has something of a party atmosphere most Fridays…. often it’s the first stop before heading to a restaurant nearby. Age Epicure March 2010. Stocking an eclectic selection of hard to find cult wines, a great selection of vintage wines and a broad range of local and regional wines. Join us for tastings every Friday from 5-8pm.Open 7 days. Like a treasure chest, TEA LEAVES is crammed with over 300 teas, novelty teapots and tea accessories of every description and colour imaginable, offering the largest range of teas and tea accessories in Melbourne. TEA LEAVES imports premium quality loose leaf teas from China, Taiwan, India, Sri Lanka, Japan, Africa, Indonesia and Germany for blending and packaging in Sassafras, where highly trained staff produce the popular range of gourmet, classical and specialty tea blends and flavours suitable for every occasion. A winner of nine business and tourism awards, TEA LEAVES has become a popular shopping destination for local residents, visitors from Melbourne, regional Victoria, and interstate. Discover TEA LEAVES in Sassafras, one of the popular mountain villages on the great mountain drive through the majestic Dandenong Ranges, one hour from Melbourne. Over the last fifteen years, TEA LEAVES has seen tea drinking gain in popularity across Australia. The tea bag culture has been replaced by consumers who now prefer specialty loose leaf teas and who enjoy discovering the vast array of tastes and styles available. Our range of teas includes white, green, black, oolong, flavoured, organic, compressed and decaffeinated teas together with fruit blend infusions, herbal infusions and herbal blend infusions. 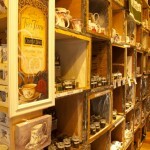 TEA LEAVES is noted in Melbourne for tea excellence and friendly service. With a constant flow of shipments from our international network of quality tea merchants and with regular tea quality checks performed in the country of origin and after importing to Australia, we can guarantee fresh, consistent high grade teas. After water, tea is the second largest beverage consumed in the world. Tea is the largest hot beverage consumed in the world. Tea drinking generates a refreshing and relaxing feeling and many scientific studies confirm the health benefits of tea drinking compared with other beverages. TEA LEAVES is committed to promoting the enjoyment and therapeutic benefits of tea drinking, to all. 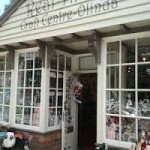 The Real Thing Craft Centre was established in Olinda in the early 1970′s. Taking inspiration from Australian made ceramics and the handcraft movement at that time. 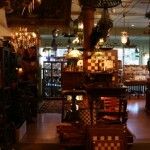 Our store soon became established as a destination for Quality and Unusual Australian made products and souvenirs. In October 2008 Marquita and Glenn purchased The Real Thing Craft Centre. 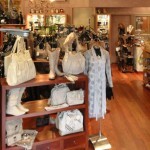 The company grew from strength to strength, extending the stock to include fantastic ranges of imported products whilst maintaining the focus on Australian designers, Australian made products and quality unique gifts and gained a reputation for great variety and reasonable prices. In 2010 with the continued success of our Olinda store, we opened a new store in Warrandyte with the intention of bringing our qulaity unique style closer to town while maintaining our country feel and overall relaxing shopping experience. Customer service is key and we pride ourselves on our great staff in our stores. 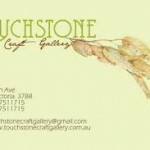 We are committed to offering a wide range of exclusive Australian made products as well as well-known quality brands. We look forward to welcoming you in-store soon and we hope you enjoy the beauty and tranquility of the locations of our stores and find that perfect gift for someone special. Marquita and GlennOpen 7 days. Weekends & Public Holidays 10am-5.30pm.